French operator Orange has recently announced details of a five-year strategic plan that will see the company spend more than €15 billion on network modernisation. Under the plan, called ‘Essentials2020’, Orange aims to triple average data speeds compared to 2014 on both fixed and mobile networks in all the countries where it operates by the end of 2018. A significant part of this investment, about one third, will go towards fibre in access networks, the operator says. Thanks in part to changes in the regulatory regime, with increasing recognition that operators need incentives to invest, fibre-to-the-home (FTTH) is now firmly on the agenda. “For us, FTTH is clearly a tool for creating value, by winning back market share and fostering the loyalty of our customers,” Stéphane Richard, chairman and chief executive officer for Orange told investors when the plan was launched on 17 March. The investments vary by region. In the home territory of France, Orange hopes to increase the number of French homes connected directly to fibre from 3.6 million in 2014 to 12 million by 2018 and 20 million by 2022. The roll out targets both dense and less densely populated areas over the next few years. Following the acquisition of Jazztel, which is pending approval by the European Commission, Orange also plans to step up its fibre investments in the highly competitive market of Spain. The operator aims to reach 10 million connectable homes by the end of 2016. In Poland, Orange says it started 2015 with an ambitious plan to deploy its own fibre network – although details were not given. Orange’s strategy represents the start of a long-term vision spanning at least twenty years – and this sets it apart from anything that has occurred before, the company says. “The transition we are going to experience in 2015-2018 will involve an unprecedented technological change. The idea is to build a new network model, with a new fixed local loop that uses fibre technology, which will replace the local copper loop,” said Ramon Fernandez, deputy chief executive officer, chief financial and strategy officer. “We are shifting the competition field from copper to fibre,” he added. In the network construction phase, Orange’s FTTH investments will initially be high with network deployment capex (excluding customer connections) reaching a peak in 2017. As the plan progresses, a growing share of the capex, i.e. 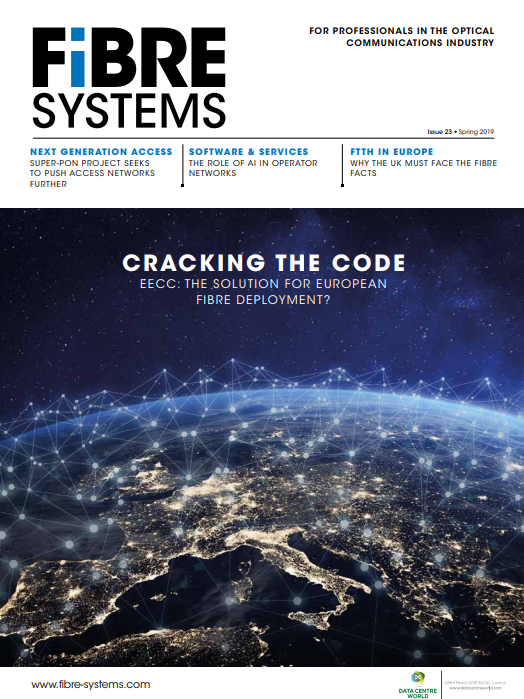 more than 40 per cent in 2018 and 60 per cent in 2022, will be dedicated to customer connections – so will only be incurred when a customer requests a subscription, Fernandez points out. Orange's strategy hinges on fibre customers being more valuable than copper customers. Fernandez noted that a fibre customer brings an average revenue per user (ARPU) that is, on average, €5 per month higher compared to an ADSL customer – and this gap is expected to increase to reach €7 by 2018. Orange’s investment is a response to what its CEO Richard recently referred to as “bare-knuckle competition” in the European telecom market. Rivals like Deutsche Telekom and Vodafone have also announced major capital investment programmes, with Vodafone’s ongoing £19 billion (about €26 billion) Project Spring being one of the most prominent.